One thing you will notice is that some tattoos look amazing, while others look like they were made in the 50’s, not nice to look at. Why? Because it all depends on skill of the tattoo artist who made it, and the more skillful they are the higher charge. There is a saying in the tattoo community that “good tattoos aren’t cheap and cheap tattoos aren’t good.” This is a fact, you can easily differentiate a backyard made tattoo from one taken from a tattoo studio, but it doesn’t mean that a studio made tattoo will always look great. 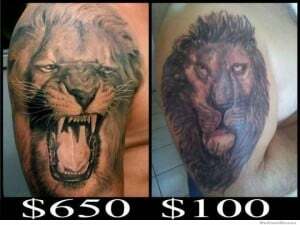 Some professional tattoo artist charge cheap, which basically means he or she is not a good artist and there are those who charge ridiculously high, now here you will see how confident the artist is in his skill. Given an option to choose between artists, it is obvious that the latter is the best choice, but of course it all depends on your budget. Typically, a tattoo studio will charge per hour but some charge per piece. You may wonder why it is so expensive to get a tattoo from a professional tattoo artist. Well, aside from reputation, tattoo artist have a lot of expenses to get their business running like: the ink they use, some really expensive equipments like an autoclave to sterilize equipments, top of the line tattoo guns, needles and of course rent money for the shop. So its no surprise the charge a lot. 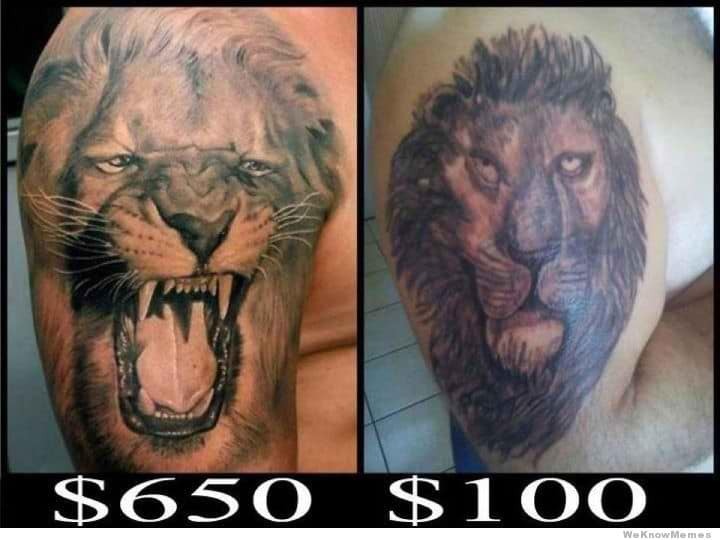 To sum this up: yes, getting a tattoo is expensive and yes, the more you pay the better it gets. But look, getting a tattoo is a onetime deal, it’s permanent and shedding a lot of money on one beautifully made tattoo is worth it.